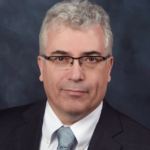 Mr. Steve Croke, a 30-year aerospace industry veteran, most recently served as Vice President, Global Engines, Airframes and Industrials in the Engine and Environmental Control Systems business unit of UTC Aerospace Systems. Prior to serving as Vice President, Mr. Croke ran the UTAS Engine Components business. He came to UTAS in 2012 through its acquisition of Goodrich, where he had been heading up the Power Transmission Systems. He also held leadership positions at Goodrich and its predecessor companies in technology and business development, having started his manufacturing career by managing aircraft hydraulic and control component production at Allied Signal/Lucas. Mr. Croke earned his Bachelor of Science degree in mechanical engineering from Clarkson University and his MBA from the State University of New York at Albany.